Myocardial uptake can hamper visualization of lung tumors, atherosclerotic plaques, and inflammatory diseases in 2-deoxy-2-[18F]fluoro-D-glucose ([18F]FDG) studies because it leads to spillover in adjacent structures. Several preparatory pre-imaging protocols (including dietary restrictions and drugs) have been proposed to decrease physiological [18F]FDG uptake by the heart, although their effect on tumor glucose metabolism remains largely unknown. The objective of this study was to assess the effects of a ketogenic diet (as an alternative protocol to fasting) on tumor glucose metabolism assessed by [18F]FDG positron emission tomography (PET) in a mouse model of lung cancer. PET scans were performed 60 min after injection of 18.5 MBq of [18F]FDG. PET data were collected for 45 min, and an x-ray computed tomograph (CT) image was acquired after the PET scan. A PET/CT study was obtained for each mouse after fasting and after the ketogenic diet. Quantitative data were obtained from regions of interest in the left ventricular myocardium and lung tumor. Three days on a ketogenic diet decreased mean standard uptake value (SUVmean) in the myocardium (SUVmean 0.95 ± 0.36) more than one night of fasting (SUVmean 1.64 ± 0.93). Tumor uptake did not change under either dietary condition. These results show that 3 days on high-fat diets prior to [18F]FDG-PET imaging does not change tumor glucose metabolism compared with one night of fasting, although high-fat diets suppress myocardial [18F]FDG uptake better than fasting. 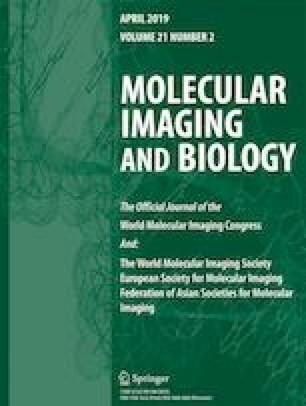 The authors thank Alexandra de Francisco and Yolanda Sierra for their excellent work with animal preparation and imaging protocols. This work was partially supported by Comunidad de Madrid (S2017/BMD-3867 RENIM-CM) and cofinanciado con Fondos Estructurales de la Unión Europea. The CNIC is supported by the Ministerio de Ciencia, Innovación y Universidades and the Pro CNIC Foundation, and is a Severo Ochoa Center of Excellence (SEV-2015-0505). All animal procedures were approved by the Animal Experimentation Ethics Committee of Hospital General Universitario Gregorio Marañón (ES280790000087) and the Ethics Committees of CNIO and the Carlos III Health Institute, Madrid, and performed according to European regulations (2010/63/UE) and National regulations (RD 53/2013).